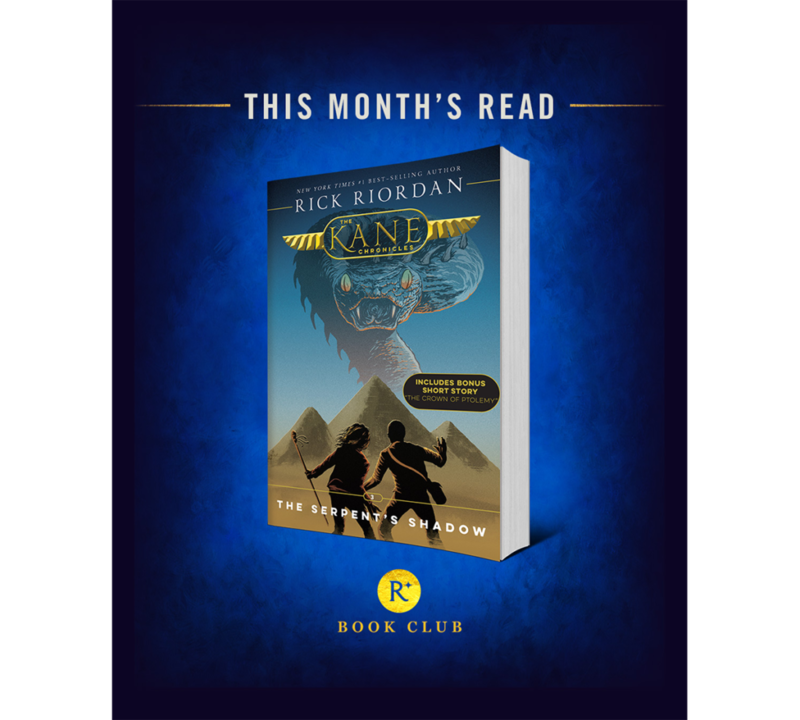 It’s a new month, which means it’s time to wrap up The Kane Chronicles with the series finale, The Serpent’s Shadow. Are you ready to dig in? Can you handle Chaos snake Apophis? Can Sadie and Carter? They better, because he’s on the loose and threatening to destroy the earth. Don’t forget the bonus short story! This new edition features “The Staff of Serapis.” And remember to join the book club by posting book photos, favorite moments, and more using the hashtag #readriordanbookclub. And this month we have some challenges! See below for your bookclub checklist.